A SEPTA subway train enters Cecil B. Moore Station on the Broad Street Line, Tuesday, Oct. 4, 2016. 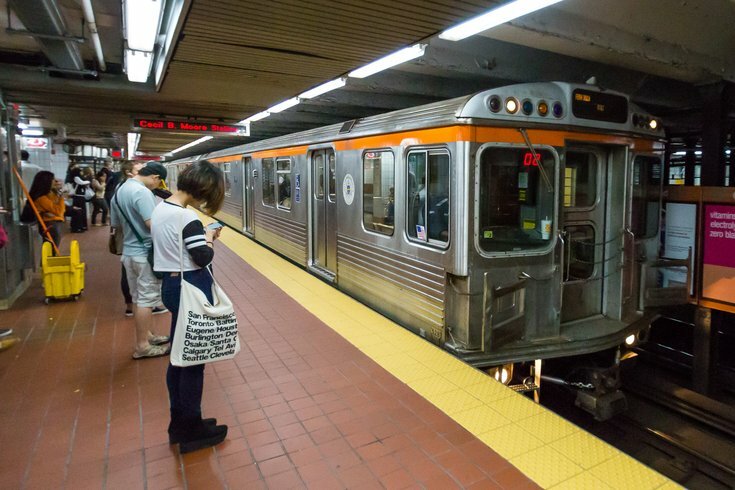 After a seven-year-old boy died from falling between subway cars on the Broad Street Line, SEPTA has put up additional signage on the Market-Frankford Line and BSL to warn riders of the dangers of car hopping while the train is in motion. There had always been signage warning riders not to change cars while the train was in motion, but SEPTA is doubling down on its messaging. The signs were placed on Monday evening, according to SEPTA Director of Media Relations Carla Showell-Lee. I’ve been hearing a lot of repeating safety tips on SEPTA the last day or two, and now there are signs warning people not to pass through cars. She said SEPTA has also recorded additional safety announcements that will be played on rotation at MFL and BSL station platforms, reminding riders to “think of safety first” and to never ride or walk between railcars while trains are in motion.